All right, that’s it. I give in. I just went to Tom Hiddleston’s Twitter page and clicked the Follow button. I could hear the chants of fangirls, going, “One of us! One of us!” as I clicked the button. But enough about that. I have more things to worry about than just being a newly converted Hiddleston fan. Though the things he does to promote UNICEF and helping malnourished children in South Sudan is very sweet. I want to talk about the number 30… as an age. I’m 28 as of now. My 29th isn’t for another four months, making it 16 months before I turn 30. But for my boyfriend, time’s up. My boyfriend’s 30th birthday is this Thursday, the day before the live action Beauty and the Beast comes to the movies. It’s also the reason why his middle name is Patrick, because he was almost born on St. Patrick’s Day. He’s not freaking out over turning 30, but he’s in disbelief that he won’t be 29 anymore. I have a firm belief that I’m going to be 28 forever. I like my age right now, and I’m not ashamed to tell the truth about it. If you look at my Facebook profile picture or the photo of me on my home page, I look like I could pull off being 28 at the age of 30. If you’ve ever seen pictures of my mom, you’d see the reason why. My mom and I look like twin sisters. Even though she’s in her mid 50s, my mom still has her red hair with some gray streaks, she practically looks 41 or 46. When I was in college, my red hair and face made someone think that I looked old enough to be in middle school, but I told her that I was legal and I was studying for my Bachelor’s degree. At 28 as a struggling, if not starving, writer, I love my age and I’m having a great time. I have 200 followers on Twitter that’s getting noticed more and more as I’m writing and tweeting. And dating an old friend from my early college years for seven months is doing so well. For the first time in a very long time, I’m in love. 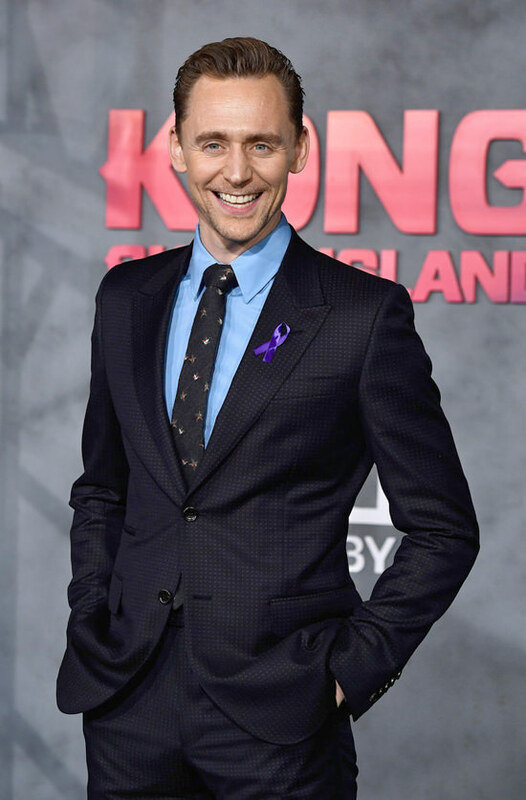 Tom Hiddleston, dear, I have to admit it, my man is much sweeter than you, despite him not having a British accent and not having the lips to play my favorite jazz instrument. He’s closer to my age, he’s closer to my height, he’s a nerd, and he’s such an amazing lover. I’m sorry. It just wasn’t going to work out, really. I’m not going to panic over turning 30 until 2018 gets here. I’m actually excited for the new year next year, mainly because of some awesome comic book movie coming out then. (Infinity War, directed by the Russo Brothers, can’t wait!) And even more so, I’m waiting until my book gets finished so I can get published by that year. I still don’t know why it’s taking so long. Maybe I’m procrastinating by dreaming up certain fantasies. Remember my last post where I was dreaming about the same Loki actor who was playing my love interest in a movie where all the people in the bar were animals and the animal gangsters were conspiring against us humans? Kind of like a version of Planet of the Apes but as a film noir? I decided that the dream I had would be great for a movie screenplay. It’s not the best idea I have in mind, but it’s also not terrible. I feel like it would be great for Disney Animation or maybe a film production company that would want to do a movie using motion capture animation, like they did with Tintin and Polar Express. But it has to be film noir, because it has elements of thriller and mystery, plus the airs of the 1940s and the Roaring Twenties. In a way, the dream was like re imagining Who Framed Roger Rabbit, one of my favorite movies I’ve watched since I was a child, and watched it again with my best friend Kerensa, who’s a big fan of film noir. She even wrote a film noir screenplay for our screenwriting professor at Towson U for our final project, and the main protagonist of her screenplay was based on the seductive Jessica Rabbit. Still, it would take a long time to perfect this story. Right now, it makes no sense yet. So I’ve got to go with the story that’s better than a stupid idea for a hot British actor playing opposite of some bipedal animals keeping humans in zoos and making them serve the animals. I’ve got to go with the story about a girl who goes to a high school for superheroes. That’s what I’m publishing first. And when I get the chance, I might go to the theatres and do a Nerd Queen review of Kong Skull Island. It got a 78 percent on Rotten Tomatoes, last I checked, and Hiddleston is playing the hero in that one. I might go see it. P.S. I have a little surprise for my guy on his 30th birthday when we go to the Owl Bar that night. Mum’s the word, tell no one! This entry was posted in Authors, Blog, Inspiration, Literature, Nerd, Reading, Science Fiction, Writing, Writing Therapy and tagged another weird dream lady in the blue box, another weird dream rachel beth ahrens, Lady in the Blue Box, Rachel Beth Ahrens, rachel beth ahrens fiction and more, rachel beth errands, rachelbethahrens, Super Frost Confessions of a Teenage Superhero, Super Frost new novel Rachel Beth Ahrens, Super Frost Rachel Beth Ahrens, tom hiddleston dream rachel beth ahrens. Bookmark the permalink.